Much of the waters of Fiji and adjacent international waters include highly prospective deposits of copper, gold, zinc, silver and chemical elements. 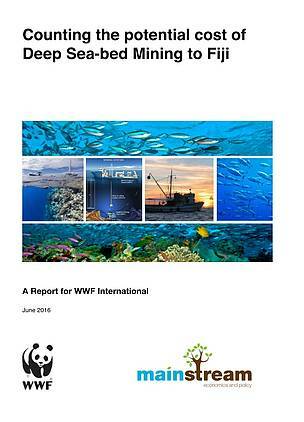 Extracting these resources is only now becoming feasible due to technological advances in Deep Seabed Mining (DSM). A large area of Fiji’s waters is now subject to DSM exploration licenses. But very little is known of the risks DSM creates for key marine ecosystem services and the industries that reply on those services for both income and employment (e.g. tourism and fishing). This desktop study seeks to identify, scope and broadly estimate the potential costs to Fiji associated with DSM. Only once those costs are understood, can Fiji confidently make robust policy decision about the amount, location and management of DSM within its waters.